UC Berkeley Events Calendar: Remembering Queen Mary: Heritage Conservation of Free Blacks on St. Croix, U.S.V.I. On October 1, 1878, Afro-Crucian laborers on the Danish colonial island of St. Croix launched a historic protest that resulted in extensive damage to the islands sugar industry. Known as Fireburn to local Crucians, this was a formative event in the relationship between Afro-Crucian people and plantation owners, most of whom were of European descent. Histories of this event cite three women, Queen Mary, Queen Agnes, and Queen Mathilda, as the labor riots leaders. Fireburn, the Three Queens, and other forms of resistance continue to be sources of pride for Afro-Crucians and are part of black heritage conservation efforts on St. Croix. Afro-Crucian heritage has also become an aspect of Danish attempts to commemorate the centennial of the transfer of the Virgin Islands, formerly the Danish West Indies, to the United States in 1917. 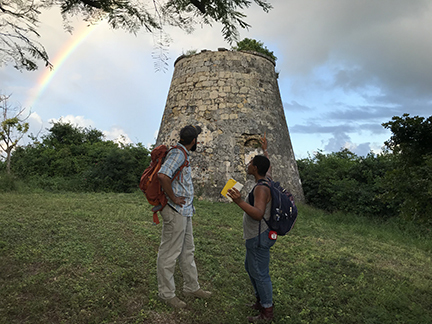 Ongoing archaeological work conducted by the Society of Black Archaeologists (SBA) intersects with the ways Afro-Crucian heritage is created, maintained, and addressed by Crucians of African descent and Danish scholars of European descent. This talk explores the ways positionality plays a central role in the way heritage conservation is practiced by black Crucians and white Danish scholars.